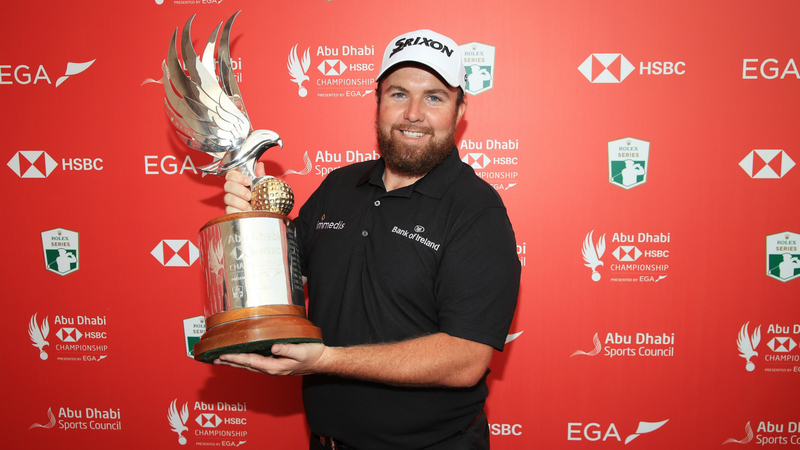 Shane Lowry birdied the final hole to beat Richard Sterne by one stroke and win the Abu Dhabi HSBC Championship in a dramatic final-round battle. By contrast, Sterne came firing out of the blocks with six birdies and just one bogey to go out in 31 strokes and Lowry's dropped shot at the 11th meant the South African led by four. However, Lowry picked up back-to-back gains at the 12th and 13th, while Sterne made bogeys at the 14th and 16th to leave the duo tied with two to play. It looked like a play-off may be on the cards until Lowry crunched a wonderful 281-yard approach onto the green in two at the par-five fifth, while Sterne went wayward into the crowd. Sterne recovered to make par, but Lowry left himself a simple putt for birdie to finish one under for the round and 18 under for the tournament. The thrilling ending left Lowry celebrating a first European Tour victory since 2015. Behind the warring duo, Joost Luiten and Louis Oosthuizen did their best to bulldoze their way into the reckoning with respective scores of seven and six under for round four. Luiten was three strokes off the pace at 15 under, while Oosthuizen was a further shot back in outright fourth.